Spend another £48.55 to get FREE DELIVERY! 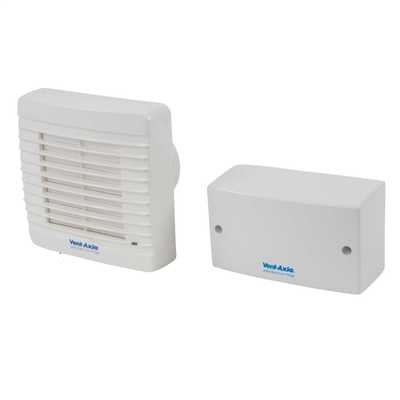 IPX7 rated fan with thermo-electric shutter and indication light which operates on override only. Complete with remote mounted transformer with integral adjustable overrun timer. The World’s first SELV fan providing extra safety and peace of mind in domestic shower and bathrooms. 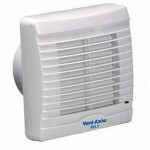 The VA100 SELV12 from Vent-Axia is a 100mm axial extract fan which can be safely installed over or within reach of a bath or shower in bathrooms and WC’s. A range of fans with optional shutter, timer and humidity controlled versions to match application requirements precisely. The VA100 SELV12 meets the Building Regulation requirements of 15 l/s for bathrooms and WC’s. Designed in a clean white finish and suitable for ambient temperatures up to +40°C the unit is fitted with Standard Thermal Overload Protection (S.T.O.P. ).